GLENDALE – The Armenian Genocide Committee is proud to announce the solidarity and participation of 49 coalition partners for the April 24 March for Justice in commemoration of the anniversary of the Armenian Genocide and the demand for accountability by the Turkish government. “Together we stand for truth and justice! 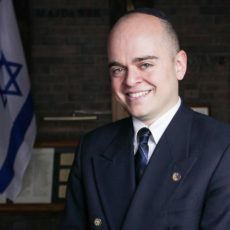 We must recognize the horrific genocide committed against the Armenians, Greeks, and Assyrians that took place under the Ottoman Empire from 1915 to 1923. 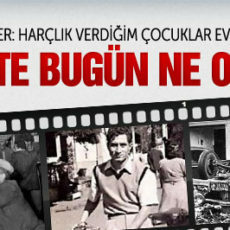 Over 3 million lost their lives from forced marches to the fires of the City of Smyrna! Let us recognize the ‘United Nations Genocide Convention of 1948’ that was unanimously approved! This April 24th, ‘The Day of Remembrance’ should become the ‘Day of Truth’ when the United States officially recognizes the crimes that were committed. The American Hellenic Council proudly stands together with the Armenian Genocide Committee to commemorate the memory of those who lost their lives and pledge to work together for the truth to be proclaimed,” noted Chairman and President of the American Hellenic Council, Dr. James Dimitriou. “We fully support the efforts of the ANCA, AGC and the Armenian people in their March for Justice. As co-victims in one of the first genocides of the 20th century, we understand what the Armenian people have endured and empathize with them in their efforts to find closure. We also have shared common values which ensures that we will stand side by side with the Armenian people now, and well into the future,” added Aris Tsilfidis, co-founder of the Greek Genocide Resource Center. 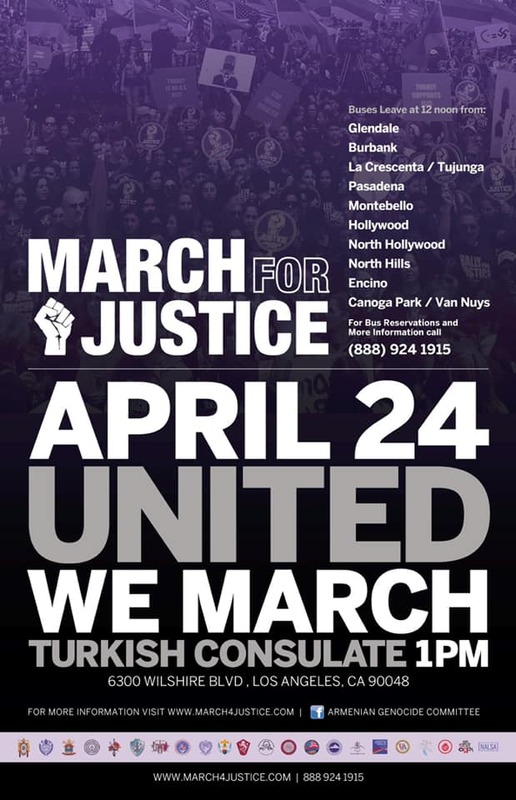 The March for Justice will take place on Wednesday, April 24th, 1:00pm at the Turkish Consulate located at 6300 Wilshire Boulevard in Los Angeles. Further information can be found at the AGC website March4Justice.comand at the Armenian Genocide Committee Facebook page or by calling (888) 924-1915. The community is urged to join the AGC and its coalition partners in making our collective voices and demands heard at the Turkish Consulate. 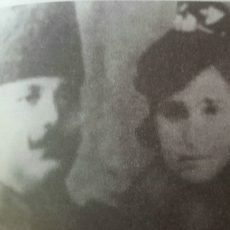 The signatories below, which include non-profit, civil rights, union, labor, community-based, and student organizations, affirmed their commitment to the global demand for justice for the Armenian Genocide and for the Turkish government to acknowledge and bear responsibility for the unpunished crimes against humanity which it continues to deny.